The need for a crossing over the Detroit River was apparent in the late 19th century. The Michigan Central and Great Western railroads operated ferries between Detroit and Windsor but were woefully over capacity, with over 700 freight cars waiting to cross the river on any given day.4 Passengers were also delayed due to capacity constraints. Eventually, the Michigan Central constructed the Detroit River Tunnel in 1909-10 for trains.8 But a bridge, which is what the Canada Southern Railway and other railroads preferred, was more desirable. While the U.S. Congress requested a study for such a bridge in 1889, no crossing was approved. Adding to the issue was representatives of the shipping industry who opposed any piers in the river as they claimed it would be a hazard to navigation. In 1979, the original owners of the bridge placed the bridge on the New York Stock Exchange and shares were exchanged.2 3 Moroun was able to purchase shares – eventually acquiring the structure. 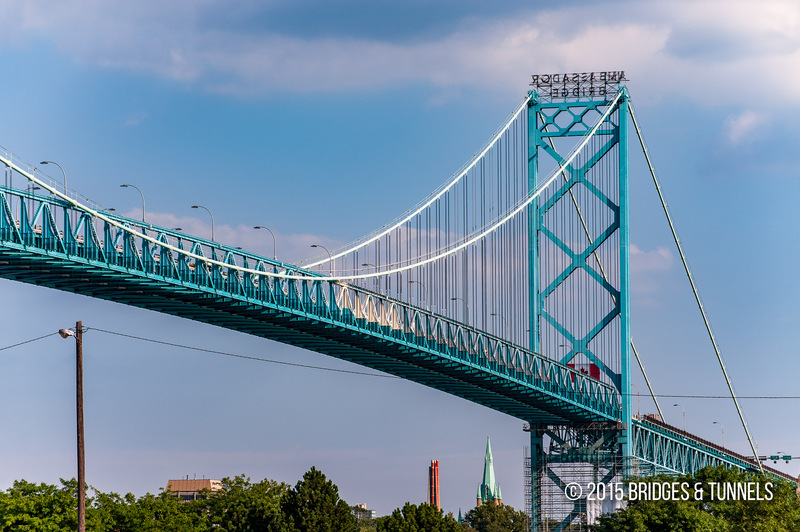 The Ambassador Bridge, and specifically Moroun, have been the source of much controversy. Although the crossing does not hold a monopoly on freight traffic over the river, it does carry a significant amount.6 It is also the shortest route, via truck, from Toronto to the American Midwest. 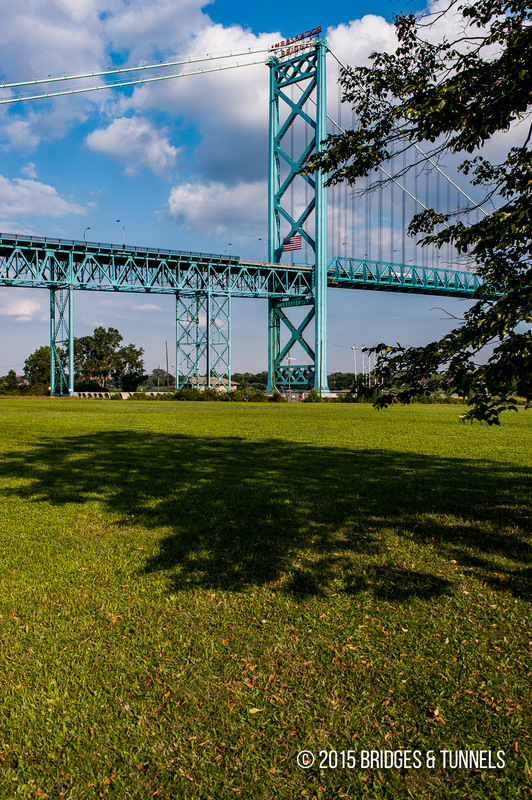 In 2010 and 2011, the Wayne County Circuit Court found the Detroit International Bridge Company in contempt for failing to directly connect the Ambassador Bridge to Interstates 75 and 96, and making other improvements as part of the Gateway Project.7 The Gateway Project was a complete realignment of Interstate 75 from Rosa Parks Boulevard to Clark Street in order to directly connect the Ambassador Bridge to the freeway. 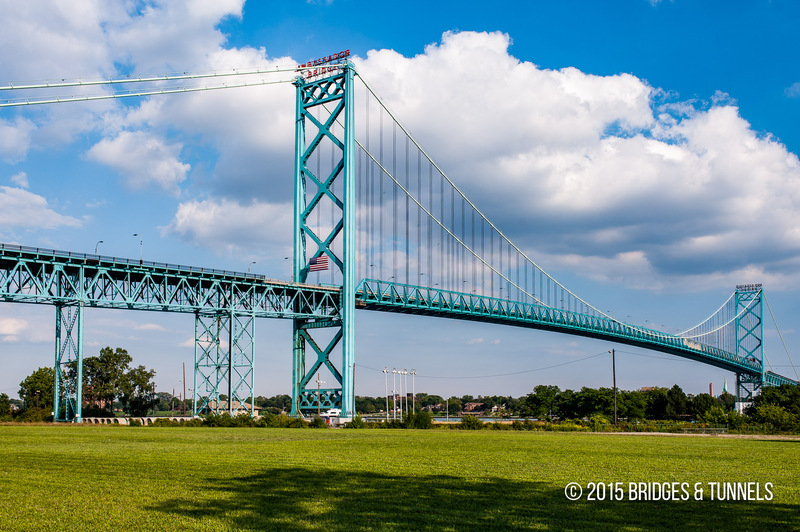 The improvements from the freeway to the Ambassador Bridge, which would normally be under the control of the state of Michigan, were left to the private bridge company.11 In January 2012, Moroun and his chief deputy of the company were jailed for non-compliance with orders to complete the ramps. 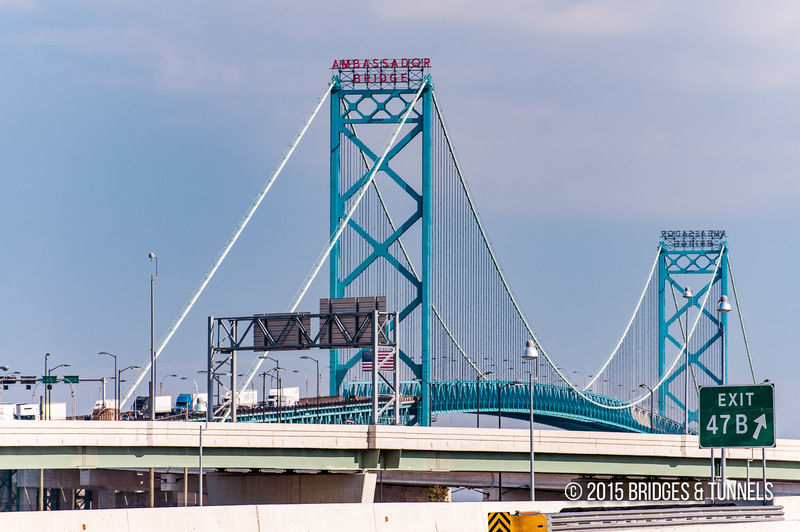 Moroun protested the construction of the ramps as it would siphon all truck traffic from his duty-free store and fuel pumps located at the western approach of the Ambassador Bridge. Abandoned approach ramps to what was to be a parallel Ambassador Bridge. Hatt, W.K. Detroit River Bridge. Pittsburgh: McClintic-Marshall Company, 1930: 4-7. Print. Voyles, S. “The Man Behind the Bridge.” Corp! May-June 2009: n. pag. Print. “Wikileaks and the DRIC Smoking Guns.” Corp! November 2011: n. pag. Print. Guyette, Curt. “Over the Border: Legislator Says Proposed Development Authority Would Create Jobs, Boost Economy.” Metro Times [Detroit] 28 Mar. 2007: n. pag. Print. O’Brien, Jennifer. “Bridge Brouhaha.” London Free Press 3 Aug. 2011: n. pag. Print. “The Proposed New US-Canada Bridge: Guide to the Controversy.” Detroit Free Press 12 Jul. 2012: n. pag. Print. Michigan Department of Transportation v. Detroit International Bridge Company. No. 09-015581-CK. Wayne County Circuit Court. 3 Nov. 2011. Print. 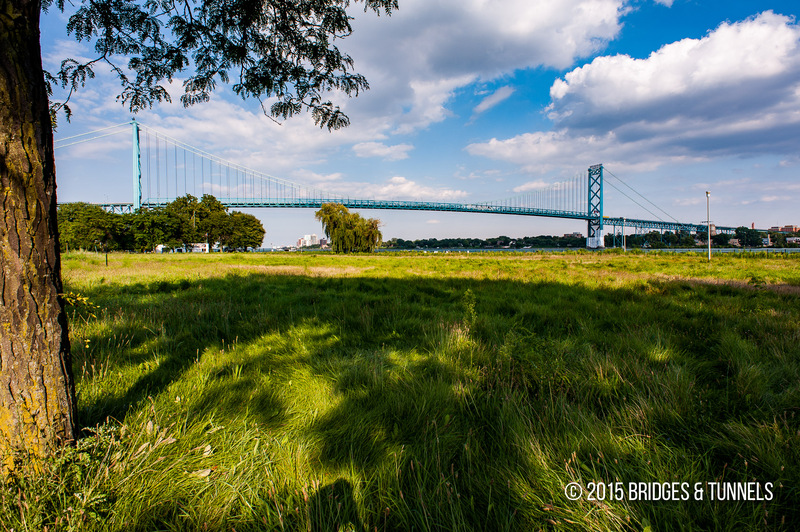 Mason, Philip P. The Ambassador Bridge: A Monument to Progress. Detroit: Wayne State University Press, 1987: 32-48. Print. Hanson, Adriane and Kathleen Dow. Finding aid for Ambassador Bridge Records, 1927-1930. University of Michigan. Web. Article. Rohan, Barry. “Paint Job Spans Nations.” Detroit Free Press 11 Oct. 1997: n. pag. Print. Helms, Matt and John Gallagher. “Mich. billionaire, 84, jailed over bridge dispute.” Detroit Free Press 12 Jan. 2012: n. pag. Print. Brownell, Claire. “Ramps Linking Bridge to Michigan Highways Open to Traffic.” Windsor Star 21 Sept. 2012: n. pag. Print.